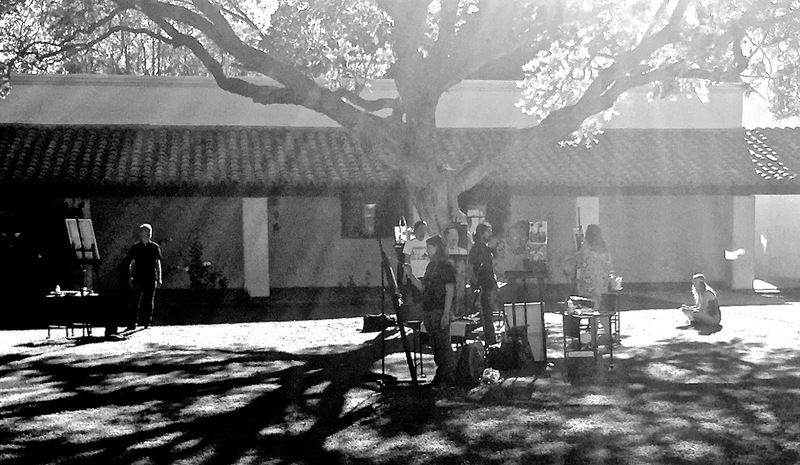 Walking home today I encountered this endearing scene on campus - students outside, under a tree, on the quad, paining. As I got closer, I could hear a familiar song - they were listening to The Doors' Light My Fire. Part of me was pleased - oh, they like music that I grew up with - and part of me was annoyed - hey kids, go get your own music. But the scene was also timeless - my Cal State Channel Islands campus, built on the grounds of an old state hospital, looks a lot like my undergraduate campus Pomona College, built around the same time. Trees, quads, tile roofs, grass. Even a young woman with long hair sitting cross-legged and wearing a headband. And I thought about Light My Fire. My father was proud and embarrassed by the Los Angeles Times and their coverage of the Watts Riots. Proud because those stories he wrote led to a Pulitzer Prize, the most prestigious award in journalism; and embarrassed, because the Los Angeles Times newsroom didn't have a single reporter of color on its staff. It took an African-American man named Robert Richardson who had the guts to walk into the newsroom and say "Hey, I live there, I can call in stories for you" - because the white reporters were driven out by the mobs - or they would have had no first-person accounts from the street. Diversifying the newsroom became a passion for my father and a major goal of his next 35 years at the paper. So much has changed, and yet justice still eludes us. The Watts Riots started when the police beat a man in front of his mother, enraging a crowd. I thought we'd do better in 50 years, but it still takes violence to get us to pay attention to the suffering and injustice that's right in front of us. My sanctimonious generation has failed to make this right, and we've handed it on to our students to figure out. They listen to The Doors on their phones now instead of on a transistor radio, but as I stood there I felt like time had stopped. And I didn't feel that idyllic or nostalgic. Instead I felt a little sick and sad, and not very proud. Very grateful to Mike for the link to this beautiful post, thank you for writing it.